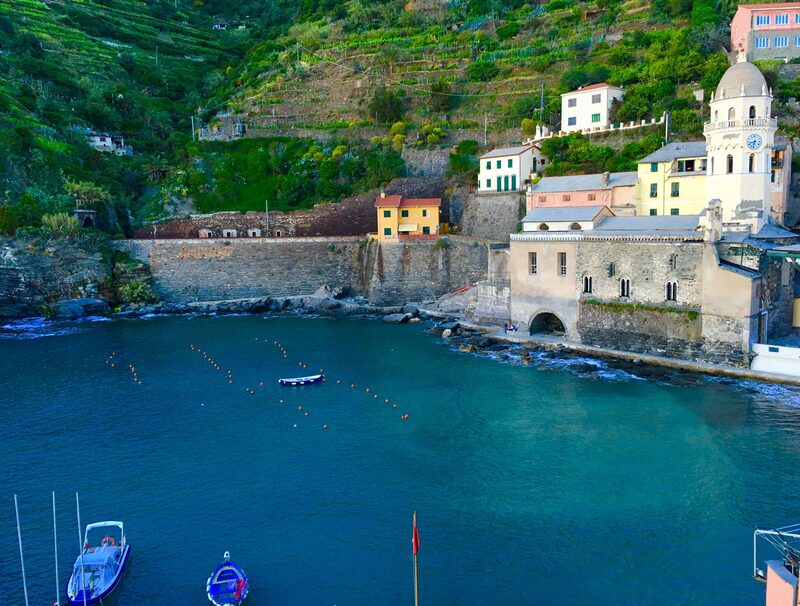 Should I Do The Cinque Terre? 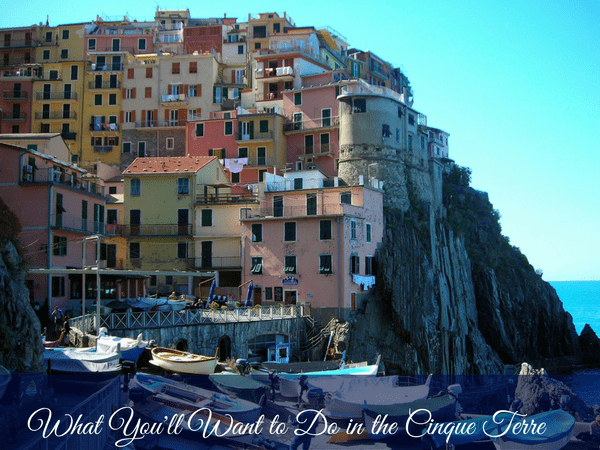 What should you do in the Cinque Terre? 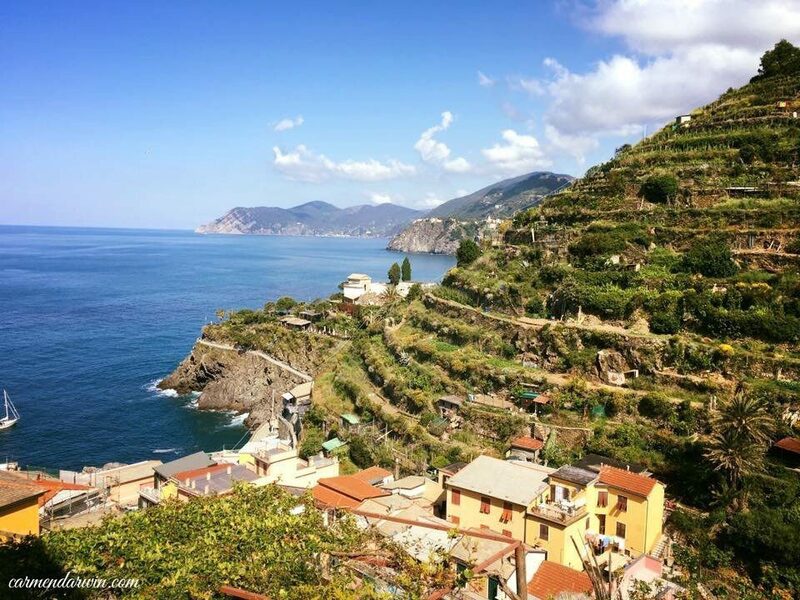 Well let me just tell you here and now that The Cinque Terre has a tendency to lure you in and steal your heart….so be prepared. It’s backstreet mazes lead you to some amazing, little corners and cliffs, streets and starscapes. My advice is to give yourself time to just drink it in and enjoy and whilst there’s a lot to see it’s not a head-there-in-a-day and-tick-it-off kind of place. You will want a little time to sit and just watch and absorb what you see. So what hits you most is the mixed colours of the buildings. 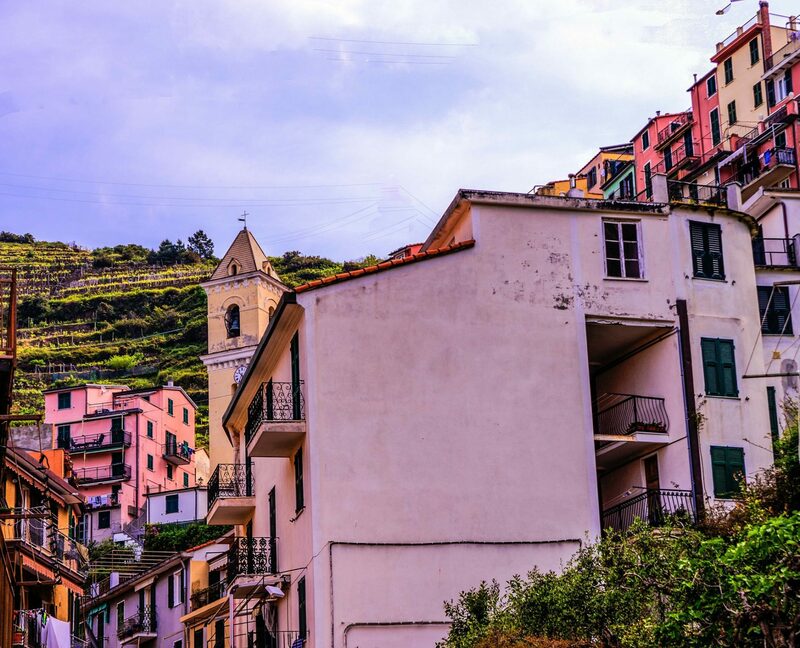 I love the amazing mix of crimson, lemon, turquoise, magenta, azure blue and saffron of these seaside homes and businesses. Was it to help the drunken sailors to find their way home? Was it to disguise the imperfections of the buildings? Was it just to look gorgeous? 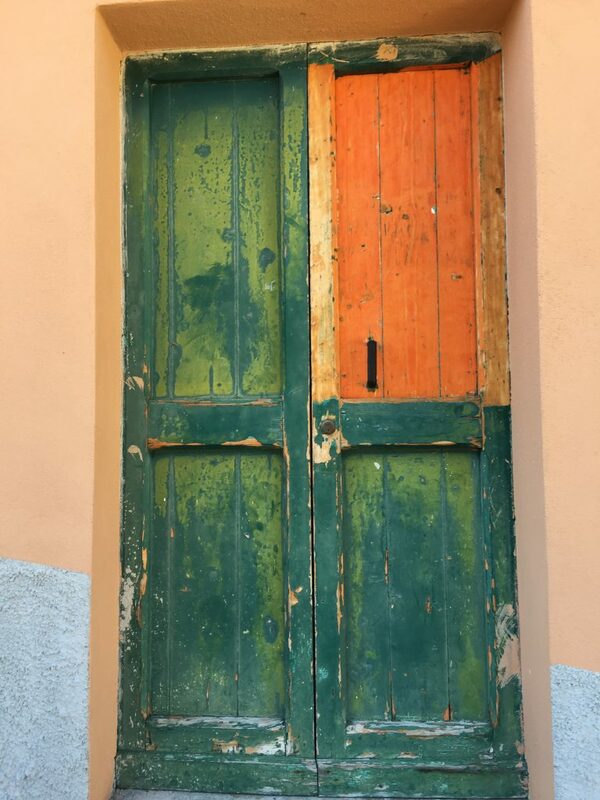 You know now if you own a house in the Cinque Terre you have to paint it the exact same colour as it is now…nope…can’t just change it to grey, white or beige…thank the Lord. 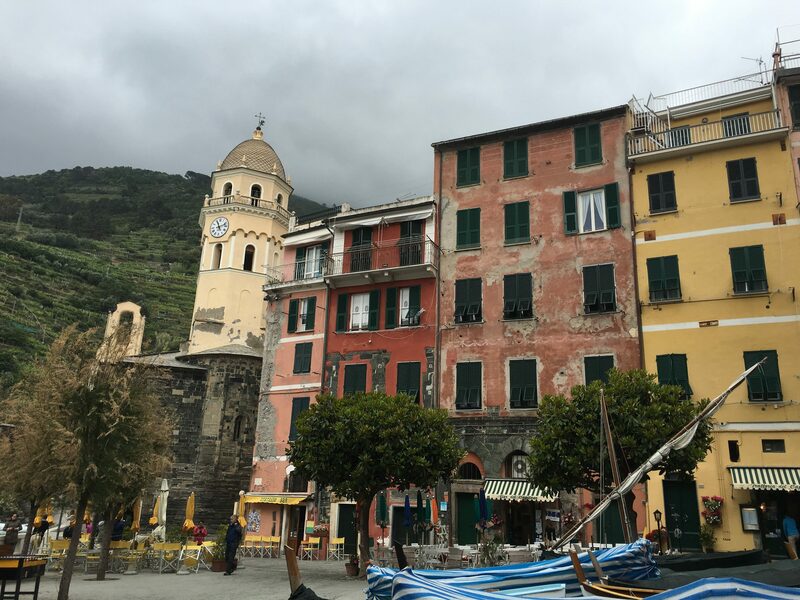 Look it’s no secret that I love architecture and design because it’s what I have chosen to do with my life and so visiting the Italian Riviera is an incredible opportunity to check out the delightful buildings on this coastline. Besides the colours, which I love,it’s also the details of architecture which make for amazing photos and study. 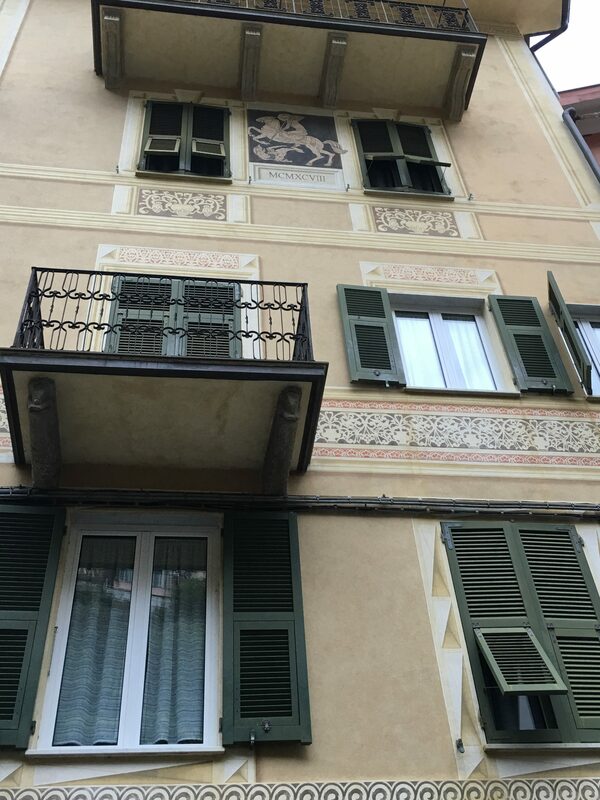 So whip out that camera or phone and head to the streets on your own architectural treasure hunt. 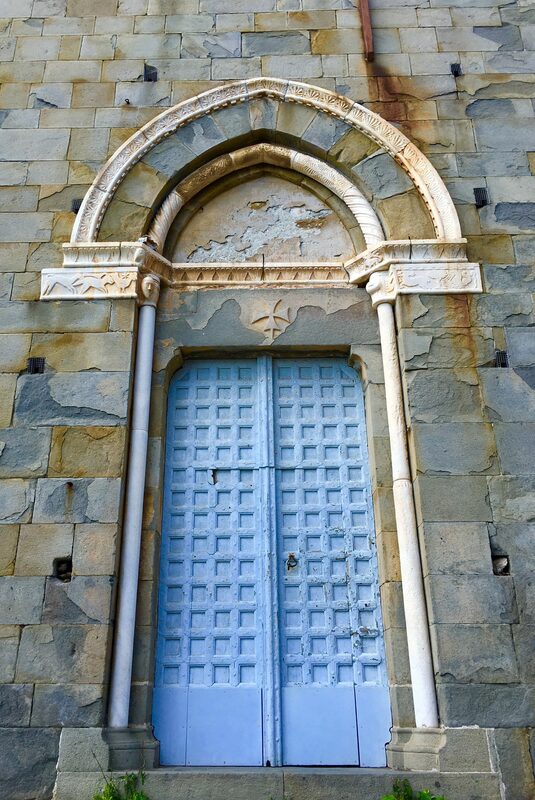 Call me crazy but I am sure I am not the only one…I just love doorways and you may have witnessed this on My Instagram Page . 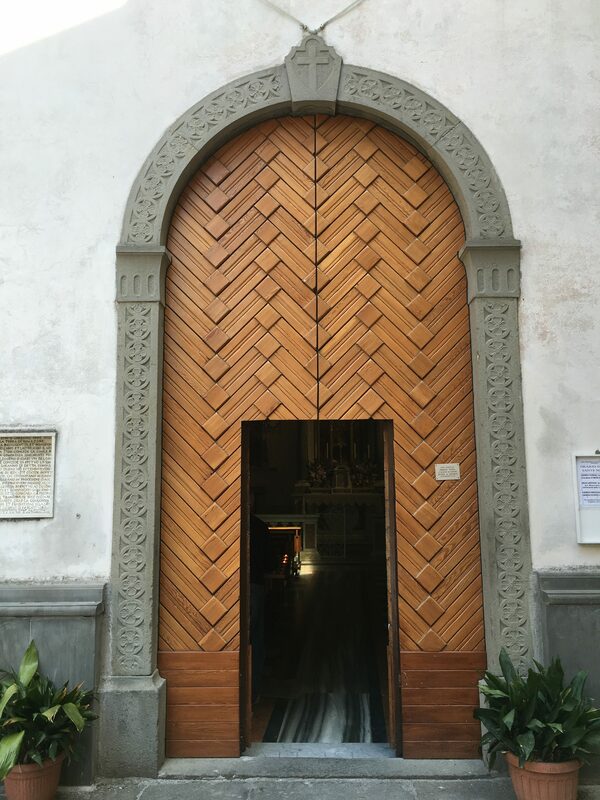 Yep, I love doors. It’s the colour, the shape, the detail, the history. I can’t help but imagine over the centuries how many have stepped through them and joined in what was going on the other side. 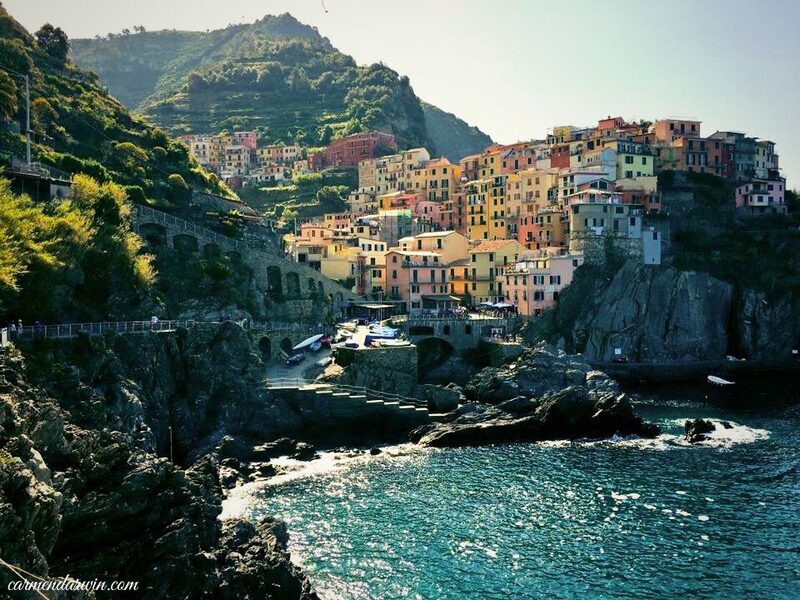 Don’t simply pass them by, stop and observe on your Cinque Terre travels and enjoy the moment. 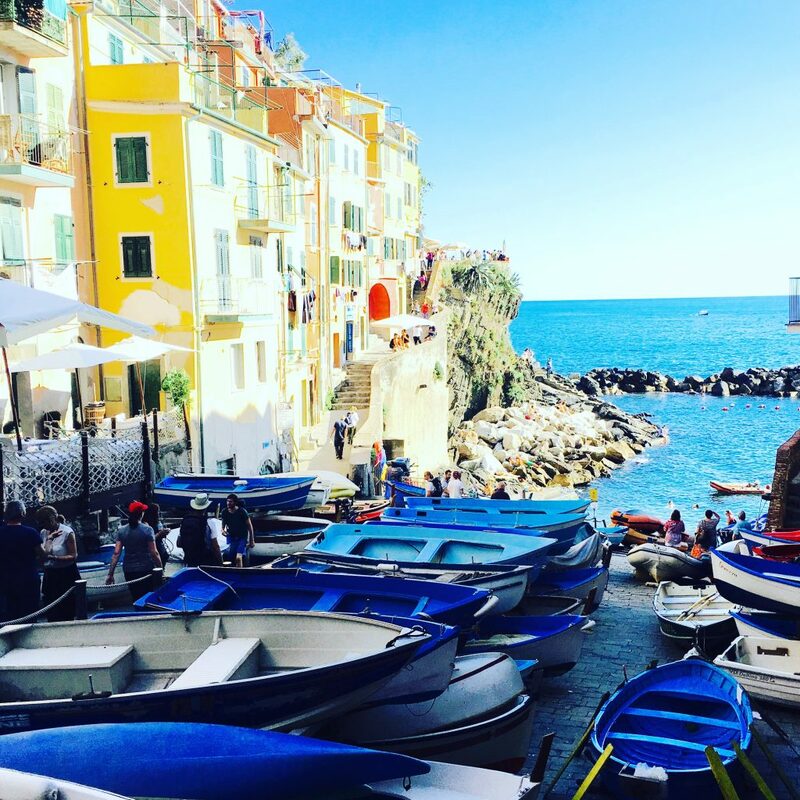 There is a certain sparkle about the Mediterranean that is quite captivating. I am super impressed by the little jewels that sparkle on the top of the ocean, twinkling and showing off. I think just sitting and watching is all that is required…you know to just appreciate life and beauty and travel for what it is….not always easy…but these times make up for it. Throw your eyes towards that ocean and let them bob about. 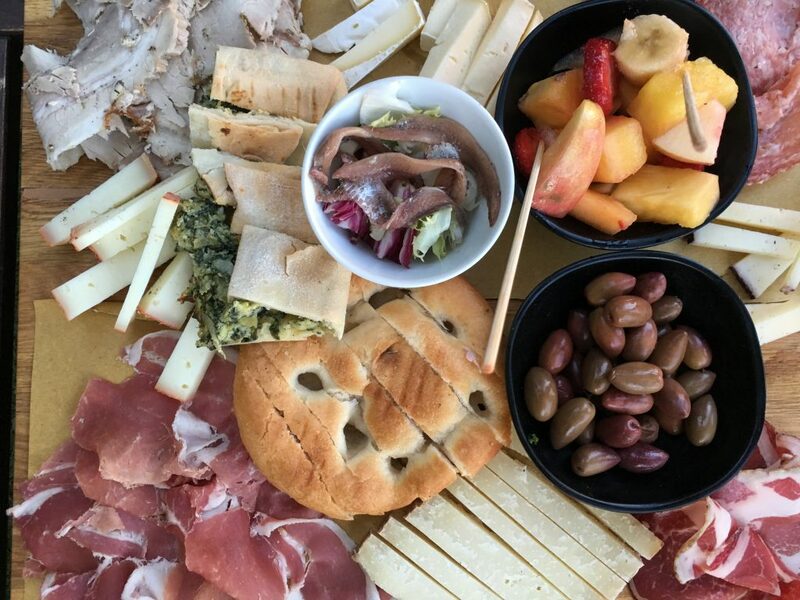 On my Design and Lifestyle Tours, I must say that a little drink or five and some pretty outstanding food, is the order of the day every day for our groups of women. 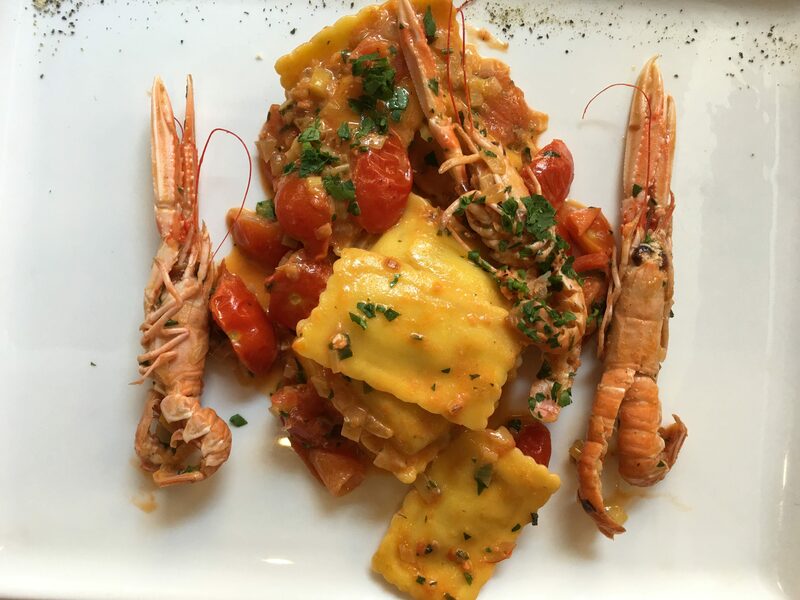 There is so much seafood in this area and the Cinque Terre wine is absolutely fresh and light and delicious. So there’s no reason to rush around this area like a maniac. I think you need to sit and relax and savour it for the joy it brings. 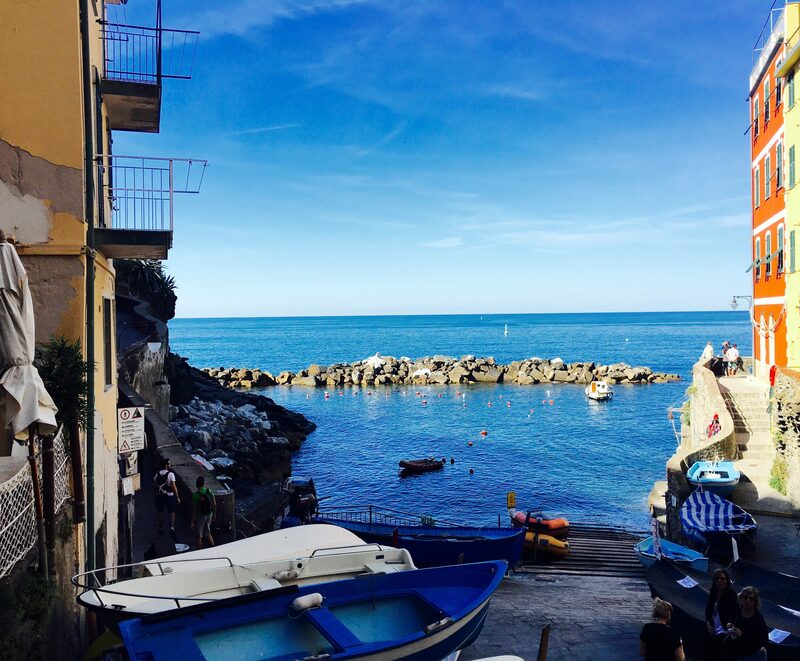 The women on tour certainly never say no when we head into yet another trattoria. 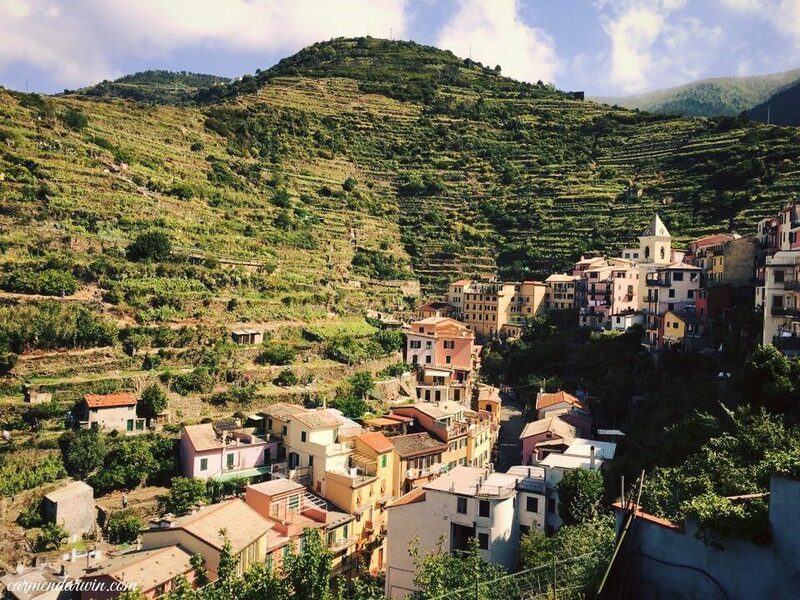 It’s know all over that the Cinque Terre is a great place for a beautiful hike. 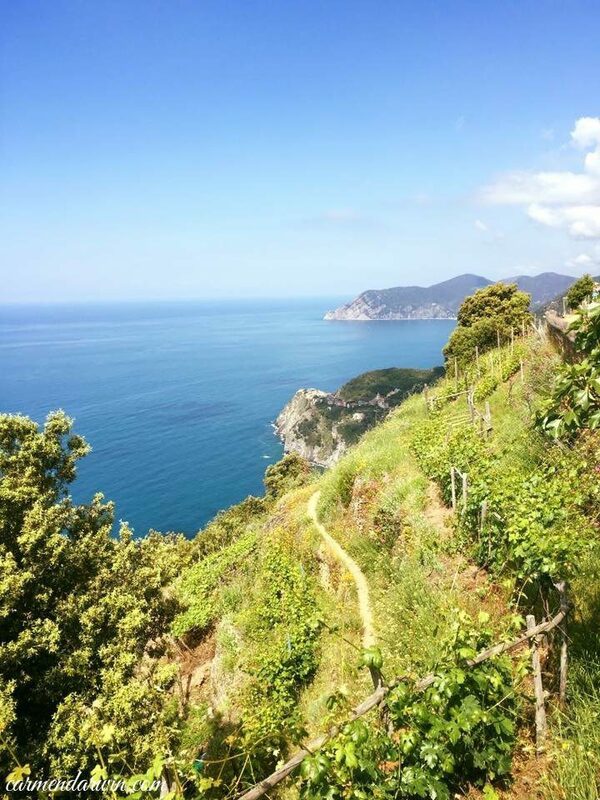 Head through the vineyards and up the steep slopes to get your rewards (apart from the exercise of course) there is the view. Oh wow, it’s pretty from up there. Do you need to be a mountain goat to climb these hills? 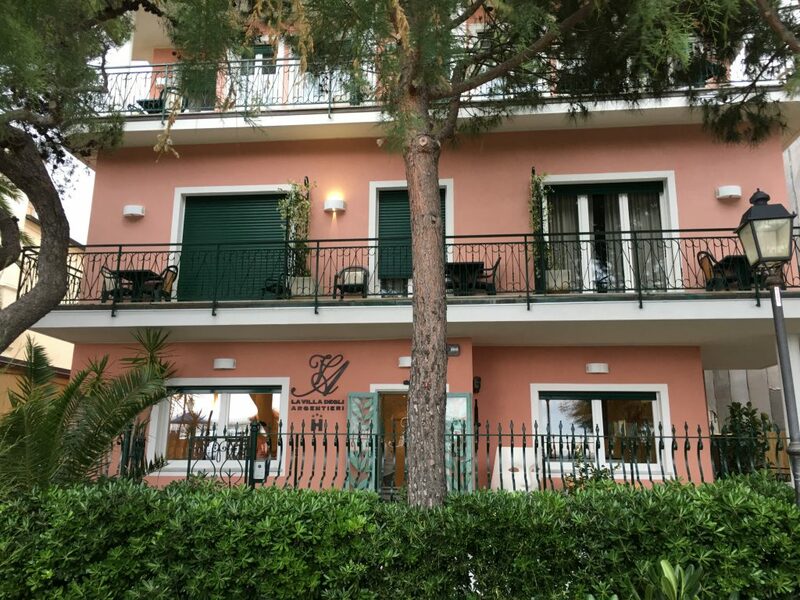 In my opinion, the short answer is yes, while some trails are mild, others leave you a little (or a lot) puffed but who cares because there’s a spritz or prosecco waiting for you on the other side…right?